Texas has its bluebonnets; Montana has lupines. Each equally enchanting. Fraternal twins. Offspring of a common botanical species, the genus Lupinus. If you travelled a bit, you could enjoy a looong lupine viewing season. 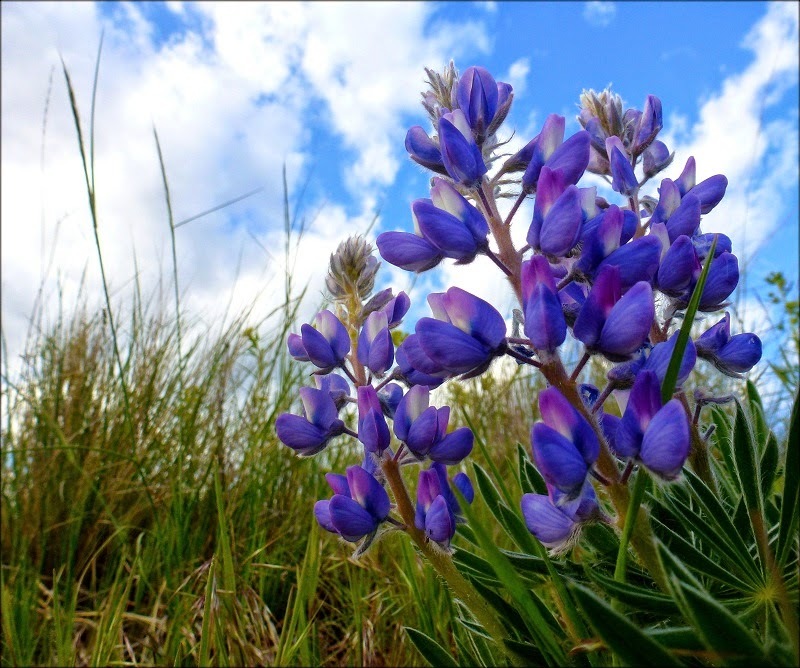 Start with the earlybirds Texas, then toodle on up to Missoula and view these lupine cousins, then drive up the road to Glacier and catch a glimpse of the big ones.